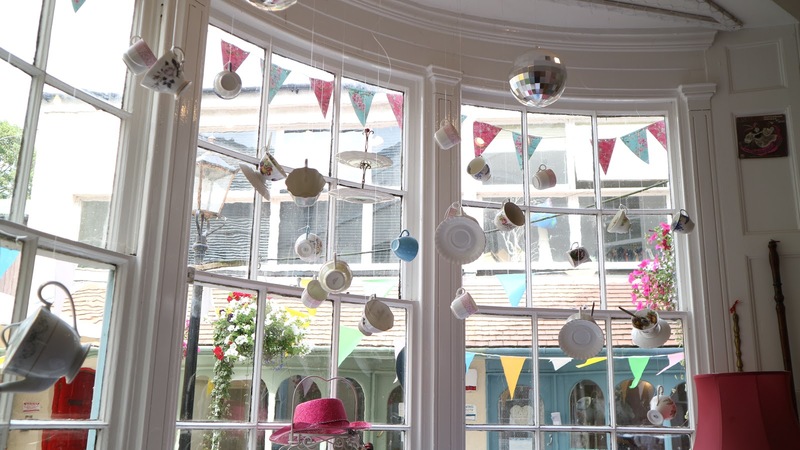 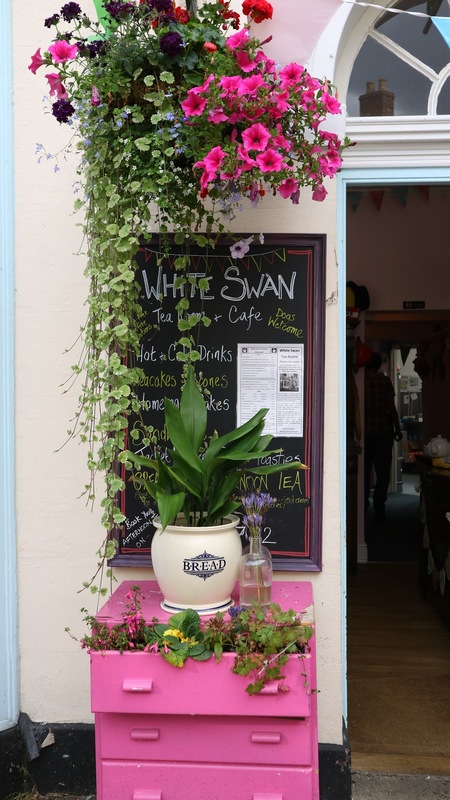 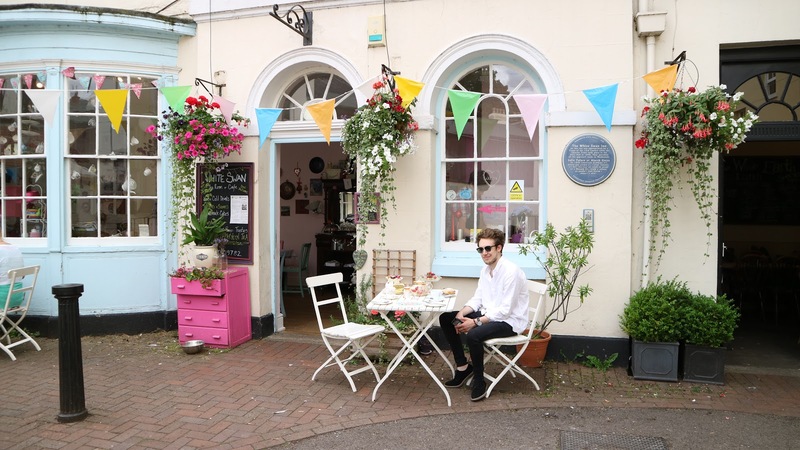 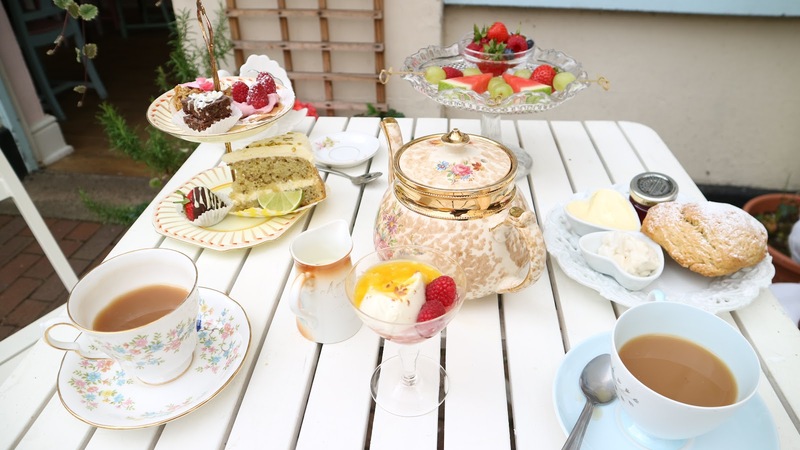 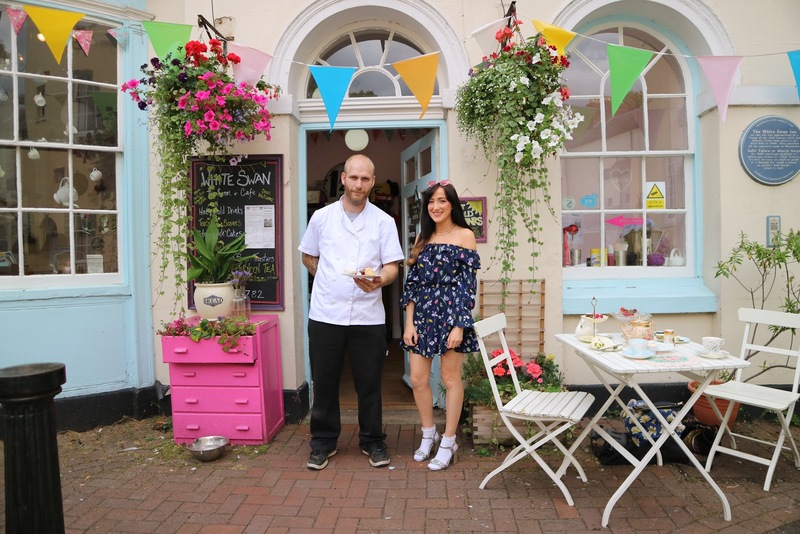 When I discovered that The White Swan Tea Room in Monmouth did a Vegan Afternoon Tea I decided to get in contact with them and find out if they would to collaborate together. 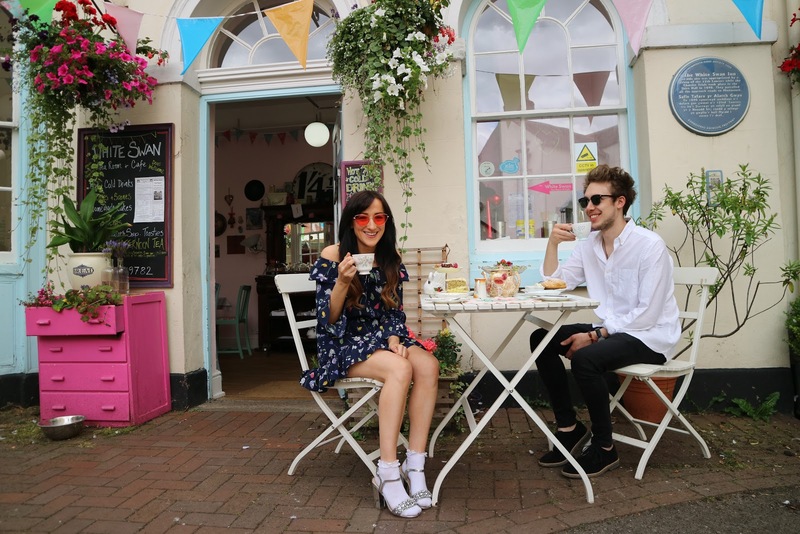 It is very difficult to find restaurants around the Countryside that do Vegan food options, some people just don’t know what the word Vegan actually means. 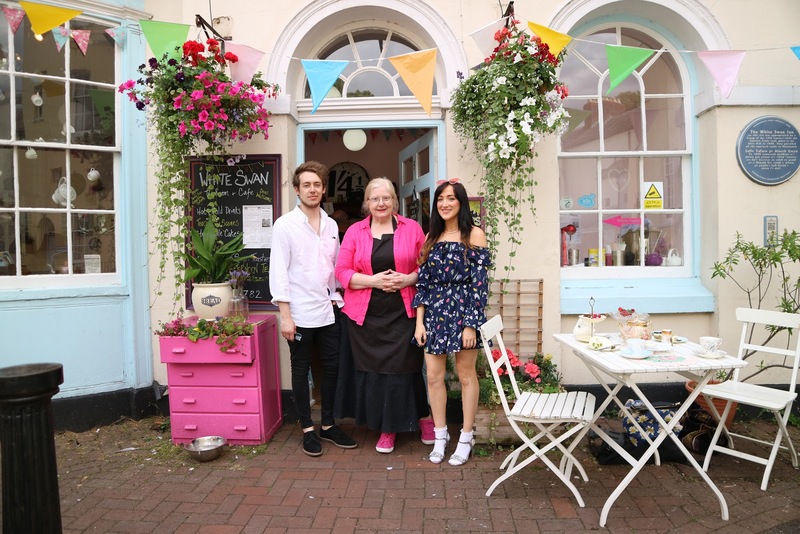 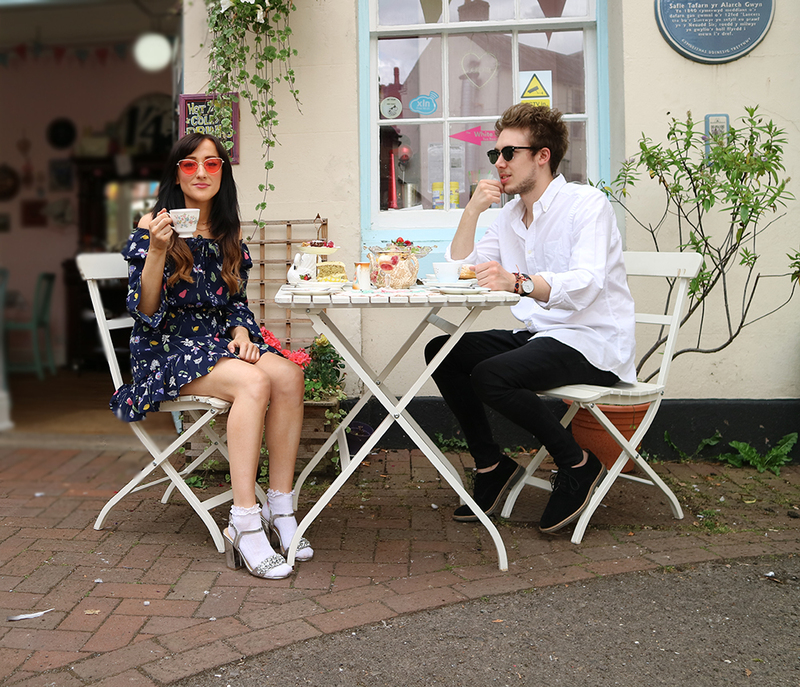 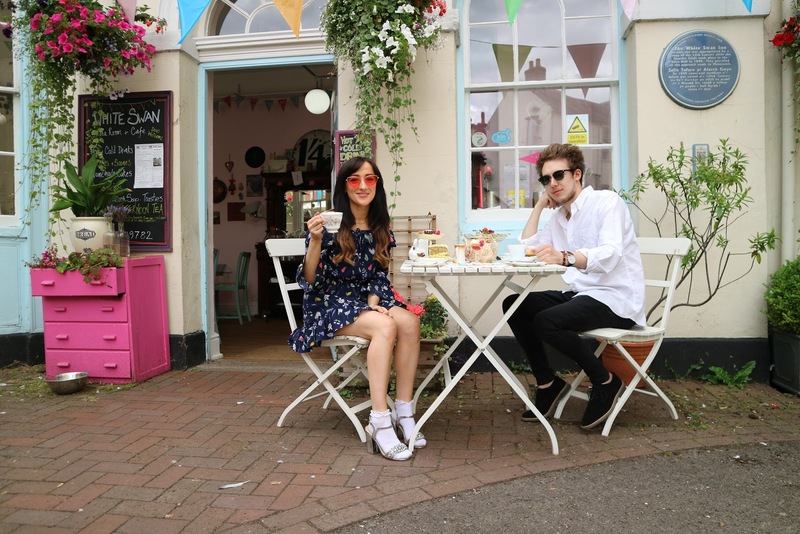 Luckily, Mary the owner of The White Swan Tea Room was very happy for Dan and I to come along and review her Vegan Afternoon Tea. 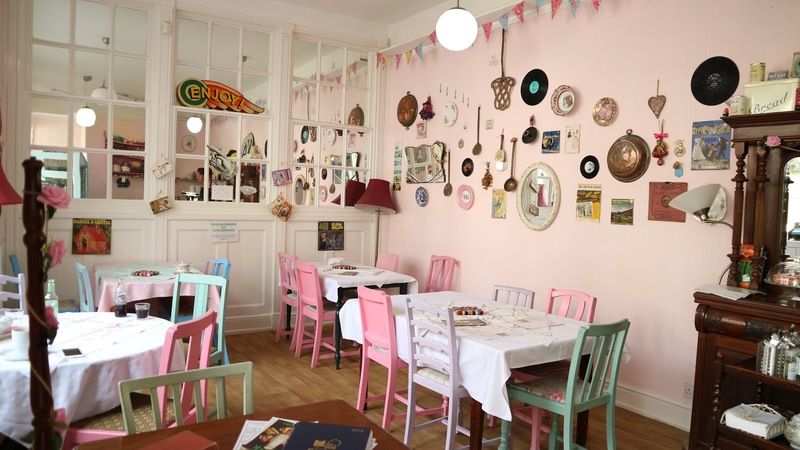 Once we got their Mary had Kindly reserved a table for us. 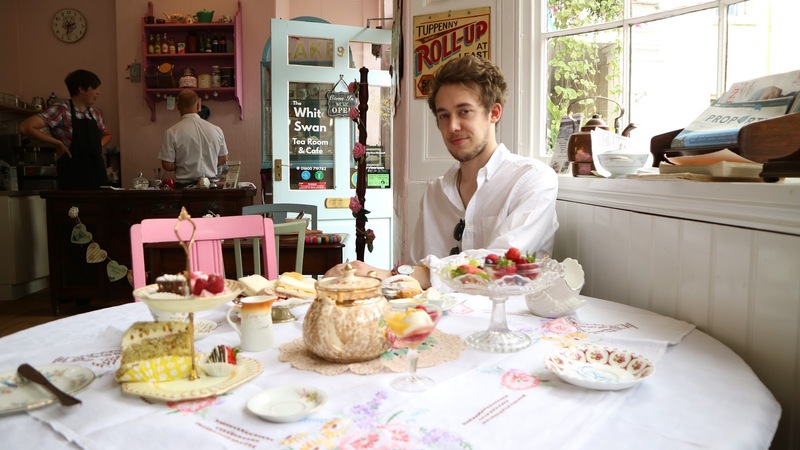 I got changed into an appropriate outfit that matched the shabby chic aesthetic of the tea room. We patiently waited whilst Mary and her waitresses served us a lovely platter of Vegan Food. 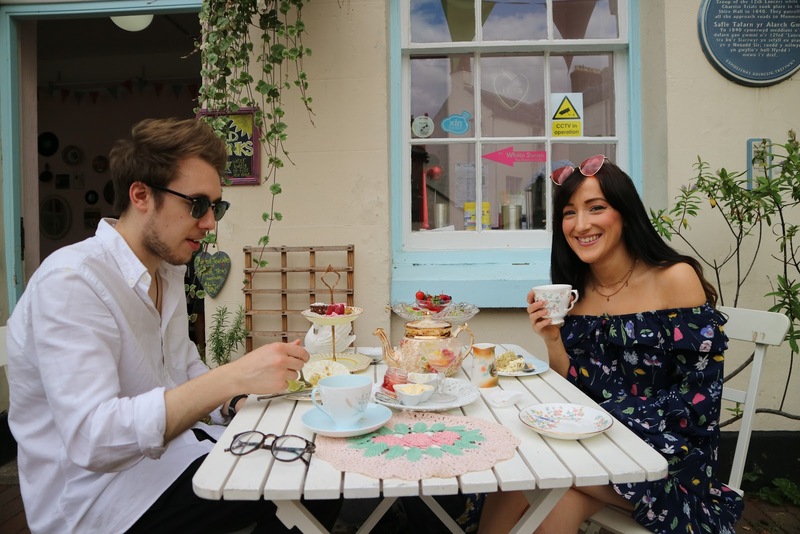 The afternoon tea was for one person but Dan and I had already ate Dinner so this was quite filling and also very sweet, so it was easy to share between the two of us. 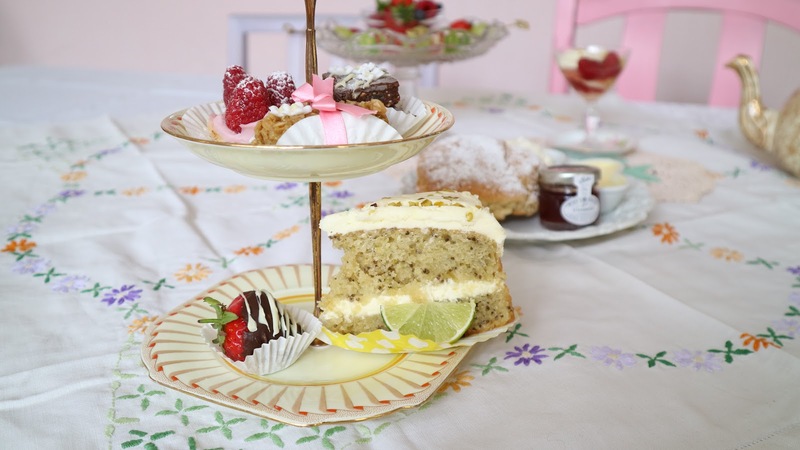 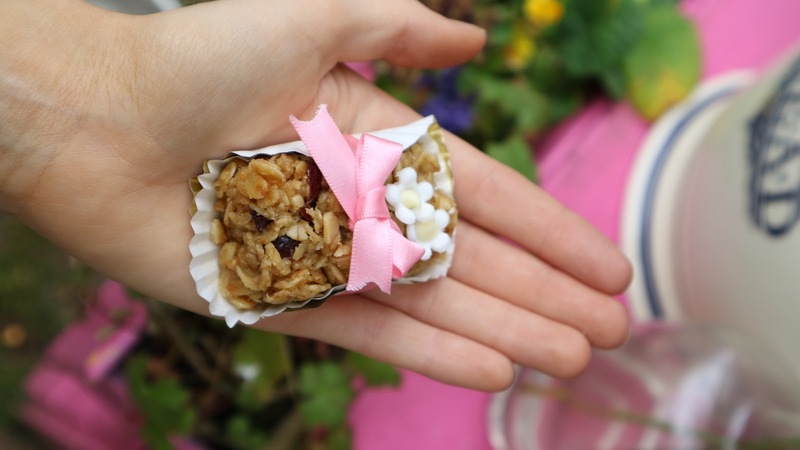 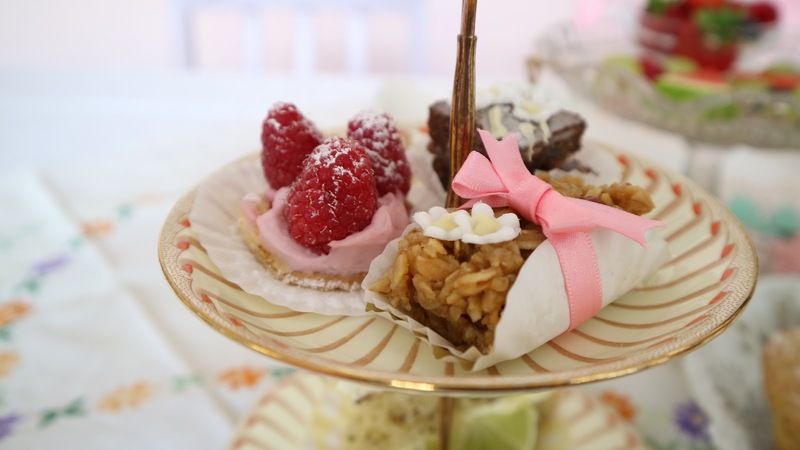 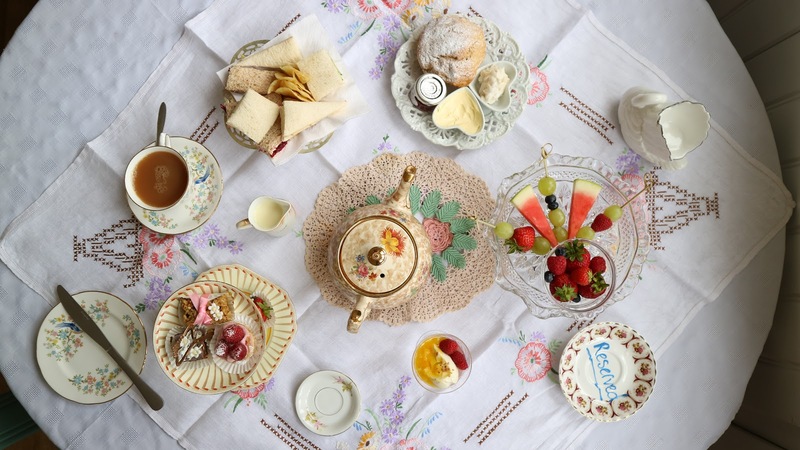 Mary stated that if you want to come along for a Vegan Afternoon tea, then please book in advance so they can ensure all of the ingredients are in stock, so that the tea will be extra special and of the highest quality that they wish to serve. 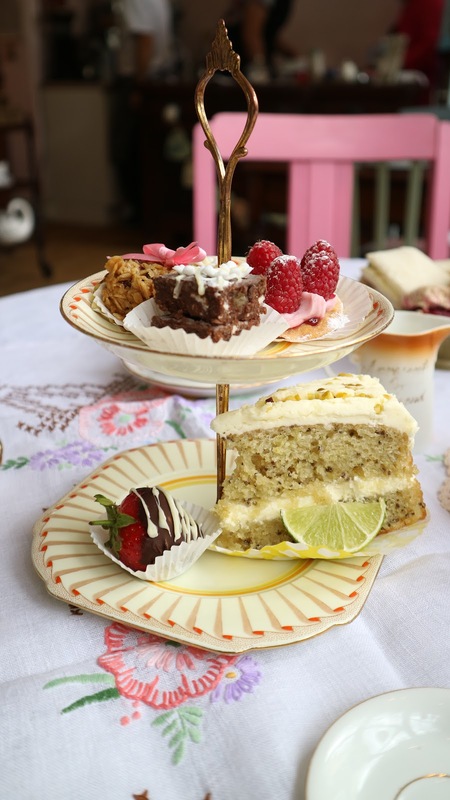 Book a day or so before and state you want a Vegan afternoon tea and they should be able to tend to your needs. 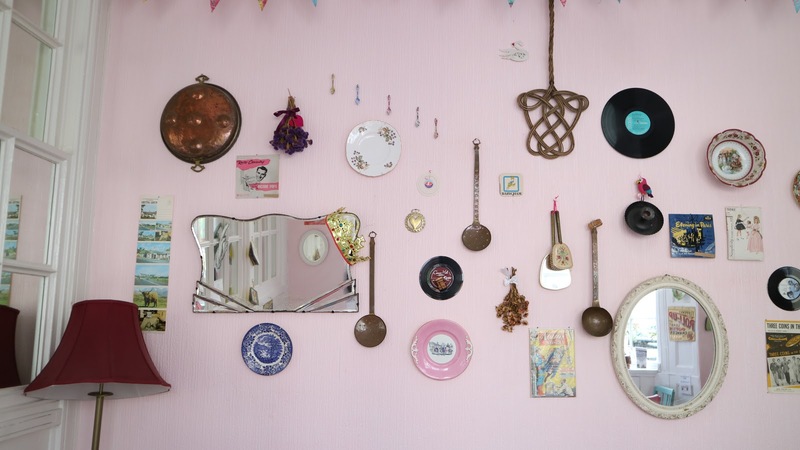 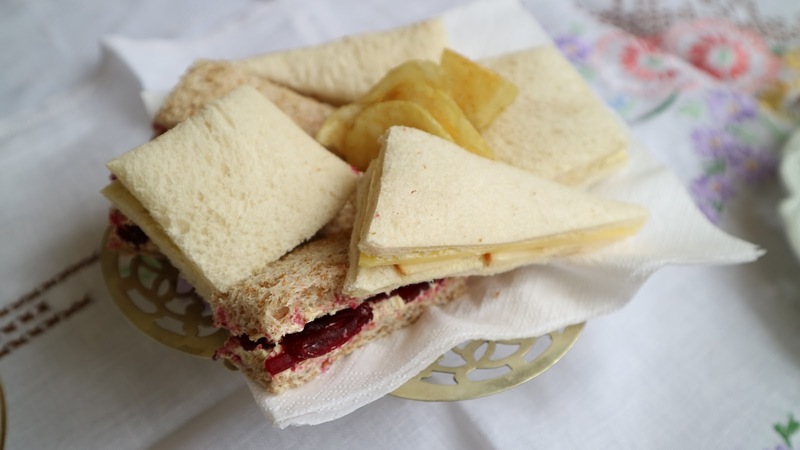 -Finger Sandwiches, which were flavoured, Cheese and grated Apple, Cheese and Cucumber and –Beetroot and Walnut. 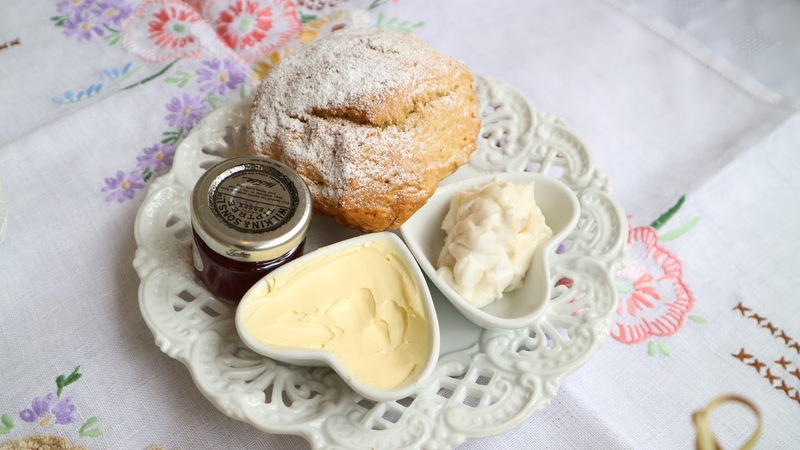 -Homemade Scone with Jam, Vegan Butter and Violife Cream Cheese. 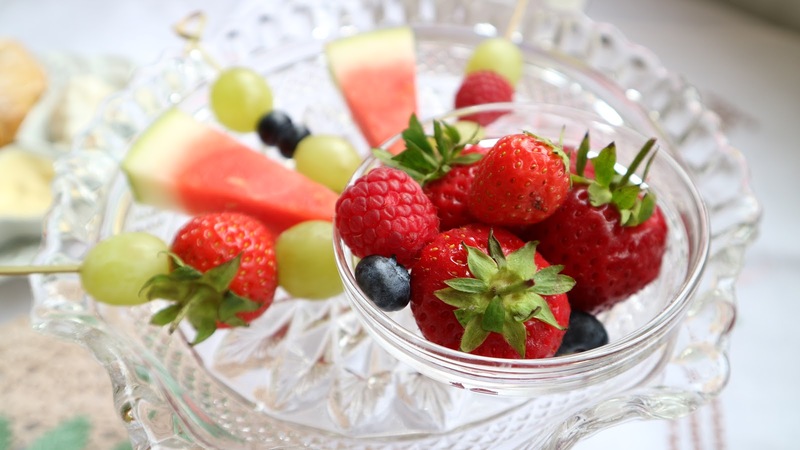 -A Mango and Soya Yoghurt Dessert with garnish of Raspberries. 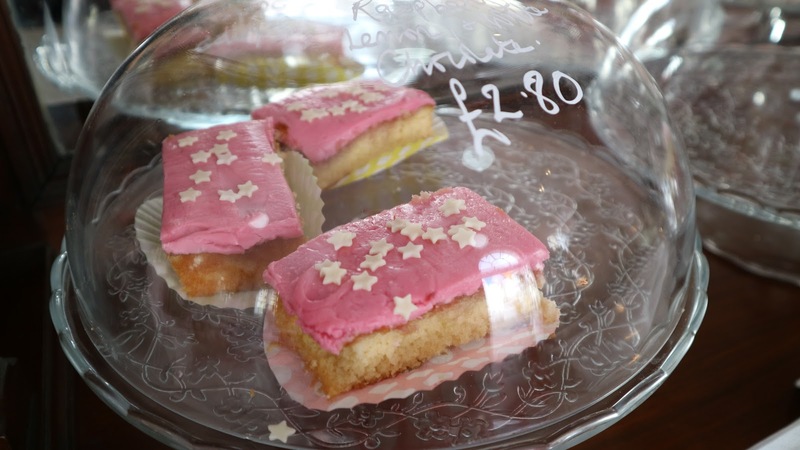 Raspberry Icing Pastry, Flapjack and Chocolate Brownie Slice. 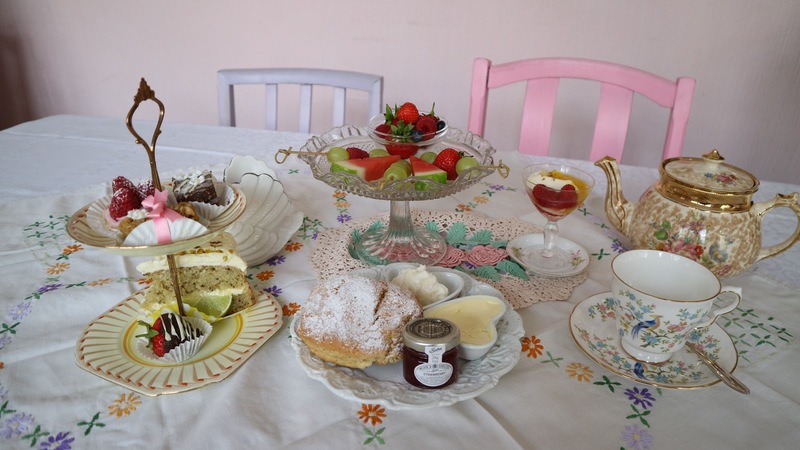 It was all very delicious and we even had to take some of the cakes home because we were so full.